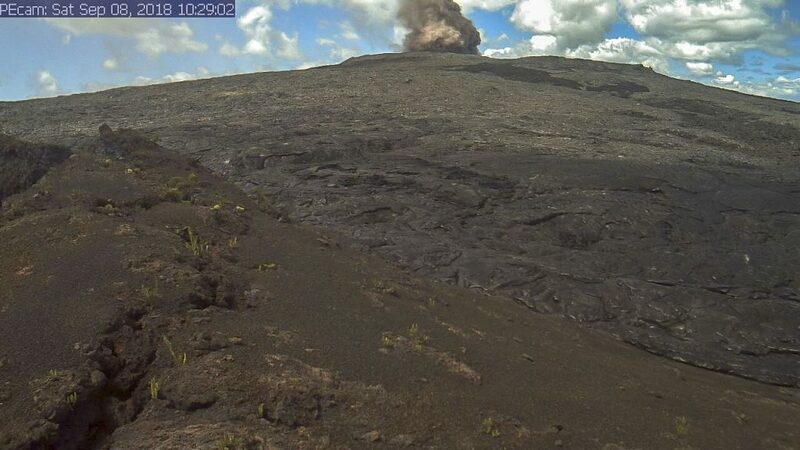 The U.S. Geological Survey current Volcano Alert Level is at “WATCH,” while the Current Aviation Color Code is “ORANGE” on Tuesday, Sept. 25, 2018. 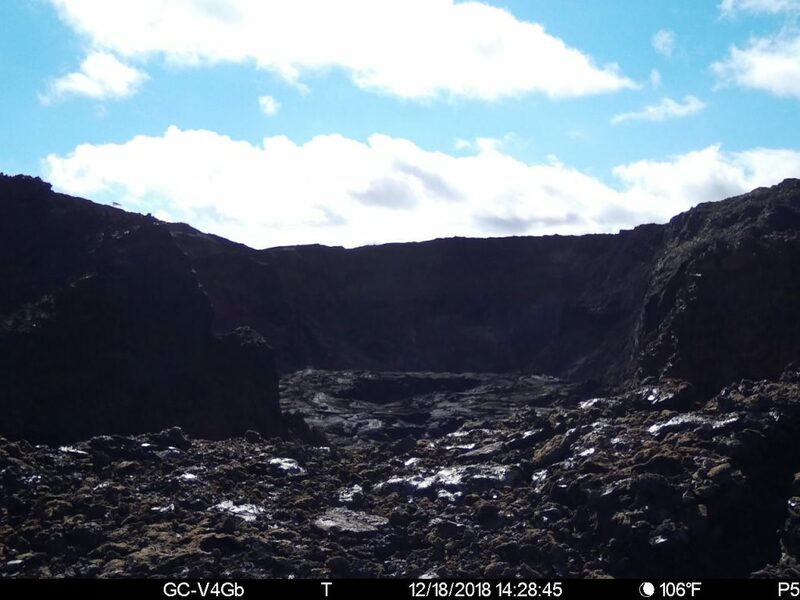 On Kīlauea Volcano’s lower East Rift Zone (LERZ), no significant incandescence was visible on Monday evening, Sept. 24, 2018, in the collapse pit within the Fissure 8 cone. Minor fuming is visible during the day. Seismicity and ground deformation remain low at the summit of Kīlauea. 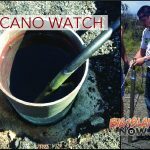 No collapses within Puʻu ʻŌʻō crater have been observed since Sept. 14, 2018. Rates of tilting throughout the East Rift Zone are much lower than those observed during the period of major eruptive activity. There has been no change in seismicity during the past week. Small aftershocks from the magnitude-6.9 earthquake in early May are still being generated on faults located on Kīlauea’s South Flank. Sulfur dioxide (SO2) emission rates at the summit, Puʻu ʻŌʻō, and LERZ are drastically reduced; the combined rate is less than 1,000 tonnes/day, which is lower than at any time since late 2007. SO2 emission rates from LERZ vents were below the detection threshold of the measurement technique when last measured on Sept. 11. Minor amounts of H2S are being emitted at the summit and at Puʻu ʻŌʻō. 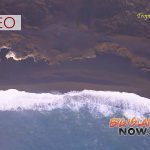 The Unmanned Aircraft Systems (UAS) team completed its mission at Kīlauea Volcano’s summit, mapping changes within the caldera. Since Aug. 4, 2018, the number of earthquakes at the summit have decreased and the rate of subsidence has stabilized. Sulfur dioxide (SO2) emission rates at the summit is less than 200 tonnes/day, which is lower than at any time since late 2007. Limited UAS flights into this hazardous area are conducted with permission and coordination with Hawai‘i Volcanoes National Park. 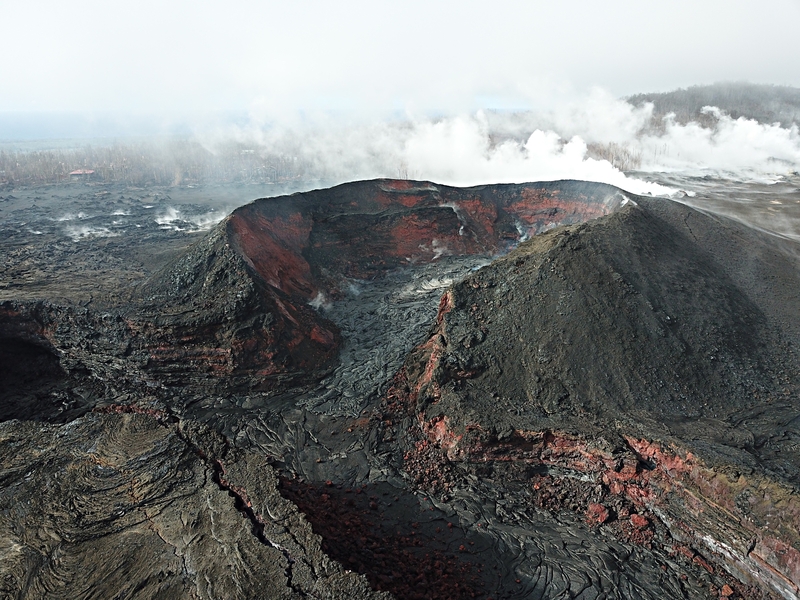 Scientists examine the UAS data in detail to understand how the collapse area is evolving and to assess hazards at Kīlauea’s summit, all of which is shared with the National Park Service and emergency managers.